Pregnant mothers have a natural nurturing instinct. She is responsible for the developing fetus in her womb and she automatically becomes protective of the baby. When a woman becomes pregnant, they suddenly become cautious about a lot of things and it usually results in the avoidance of potential dangers. • Pregnancy and gum disease. When a woman is pregnant, her body is ridden in hormones and the same hormones that make her emotional, can also cause gum disease. Pregnant women are prone to bleeding and swollen gums and this makes it necessary for them to observe stricter oral hygiene measures, which include visits to the dentist for oral prophylaxis and cleaning. There is such a thing as pregnancy gingivitis and if you want to avoid it, you will take this matter seriously. There is nothing wrong for a pregnant women to have her teeth cleaned—as a matter of fact, it is encouraged. • The use of anesthetic solutions. 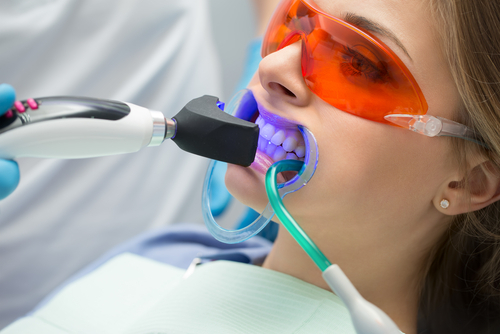 Much of the danger involved in dental treatments is the use of anesthetic solution. To avoid putting the developing fetus at risk, all procedures that require the use anesthesia is avoided. Of course, there are special brands that are considered pregnant-friendly, but most dentists, mothers and obgyns will opt to defer tooth extractions, root canal and other elective procedures, unless there is a dire emergency. The health and safety of the child is the top priority, so unless there is no choice, these procedures are deferred until after giving birth. • Dental xrays. The radiation emitted by xray machines pose a risk for the developing fetus. While the dental xray emits very minimal radiation compared to other machines, it is used with much care or avoided at all. The wearing of lead aprons and all kinds of protective covering should be provided to the pregnant woman if a radiograph has to be taken. • Dental fillings are safe. A pregnant woman may receive a dental filling at any stage in her pregnancy but as caution, only shallow cavities should be treated. The risk of encountering a deep cavity may lead to emergency need for a root canal or tooth extraction (which requires the use of anesthetic solution), so it is best avoided, instead. • The second trimester. Did you know that there is a safety window? The use of anesthetic solutions and the performance of other procedures are avoided during pregnancy for fear of its effect on the development of the fetus. Should there be any treatments scheduled, note that the second trimester is the safest window to do all that. Of course all treatments will have to be agreed on by between the mother, dentist and physician. Unless a medical clearance is obtained, no dental procedure will be performed. Upon hearing the news of a pregnancy, everyone automatically delights the news because a baby is a blessing and it is welcomed blessing that celebrates love, life and togetherness. A woman often feels very fulfilled when the news of a pregnancy is first found out and her protective instincts suddenly become alert. However so, be mindful that neglecting your dental health is never a good idea—even when a baby is in your womb. A tooth that becomes infected with caries will need to be resolved. When detected early, a simple tooth filling will suffice, but when the infection has progressed much and has encroached into the area of the pulp tissue, a simple filling will be rendered useless. With an infection that serious, a patient will be prescribed with either a root canal or a tooth extraction. You need to remove the infection and these two procedures will do the trick, but since a tooth extraction results to the loss of a tooth, your only option for saving it would be to undergo a root canal. A root canal procedure is consider a pulp treatment and what it is, is a procedure that kills the tooth by removing its blood supply and in doing so, you remove the nerves. As a result, you rid the tooth of infection so it is allowed to remain in your mouth, lifeless. So, what happens next? • The tooth is dead. Since the pulp tissue has been removed, the tooth will be dead. The pulp tissue is the nerve and blood supply of the tooth. Once it is removed, the tooth will no longer have any sensation. It can no longer feel pain, cold and heat. This means that, a once infected and painful tooth, can survive the rest of its life, feeling no pain at all. It is dead but it is not removed, unlike when you opt for a tooth extraction. A root canal kills the tooth but the tooth is allowed to remain in the mouth, to serve its purpose: its esthetic, masticatory and speech functions. • The tooth will become brittle. Since the tooth is dead and no longer receiving nourishment through the blood, it will become brittle. It is weaker and when subjected to much force, it can break easily. As a means to protect and strengthen the tooth, after a root canal, you can pot a post to support it and then fit it with a crpwn, to cover it. Posting and crowning will definitely prolong the life of a dead and brittle tooth—it will protect your investment quite well. • The tooth may discolor. Another consequence that follows after the tooth’s death is discoloration. It is dead and no longer receiving nourishment, so it may exhibit some darkening. A dead tooth may become browning or greyish in tinge. 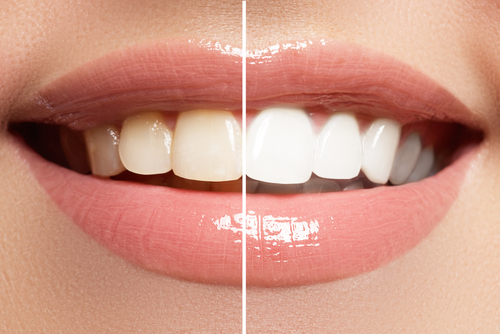 This may be resolved by internal bleaching, but for a more permanent solution, you may want to completely mask it by fitting it with a veneer or a crown. Doing the latter will also provide protection for the weakened tooth, as previously explained. • The tooth may become re-infected. Unfortunately, a root canal treated tooth may become re-infected and when this happens, the entire procedure will have to be repeated. A persistent infection may also prescribe an apex treatment, but further investigation into the problem will be required to confirm this. Root canal treatments are very valuable because it allows a patient to save a tooth that otherwise have to be removed. Unfortunately, this procedure is not without compromise, and all of that was just discussed so that you have the whole picture. Hopefully, this helps you make a sound decision. Bruxism is also known as night grinding and it is an involuntary activity that people experience, at any time of day but often when they are asleep at night, thus the name. It is characterized as the exhibiting over-activity of the muscles of mastication so there is clenching or grinding of the teeth, with some cases more severe than others. Some cases of bruxism are localized effects on the anterior teeth or the posterior teeth only; but some cases are more severe and may affect all teeth. Depending on intensity and frequency, the effects will vary and many of these cases go unnoticed unless wear facets have been detected by the dentist or a sleeping companion begins to complain of the nightly disturbance. 1. Tooth damage. 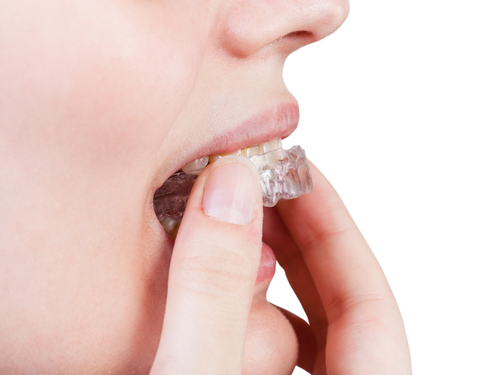 The direct effect of bruxism is tooth damage. Constant grinding and clenching will cause a wearing away of tissues so the teeth will appear abraded and worn. 2. Tooth sensitivity. As the teeth get further abraded, the outer layers of the teeth are abraded, so that the inner layers of the teeth are exposed. The pulp tissue which is also known as the “nerve tissue” of the tooth is located in the middle chamber and with the continuous wearing away of the teeth, this gets exposed, causing sensitivity. 3. Bite changes. A long-time consequence of night grinding is a change in bite. As the tissues continue to wear away, the bite collapses and shift. 4. Loss of facial integrity. When the teeth surface breakdown and get worn, the normal bite collapses. This may not seem so much, but you have to understand that the facial tissues rely on the integrity of the bite to maintain its youthful tautness. Have you not seen an old person without his dentures? The teeth give us a youthful appearance and when the bite collapses, facial integrity is compromised. 5. Joint problems. The most severe and problematic consequence of prolonged and unresolved night grinding is the development of joint problems. This may be characterized by jaw pain, clicking, popping and locking of the jaw, difficulty of opening and closing, as well as swelling. To this day, there is no truly effective cure for night grinding, but its damaging effects may be prevented by the wearing of a night guard or mouth guard. There is no true way to stop the activity, so the only thing you can do is to provide some kind of cushion to protect the teeth from further damage. The guard is worn nightly, to counter the overactivity of the muscles, and they are replaced when the appliance is already worn. Now, note that while there are guards that may be bought ready-made from sports stores, you should only trust a laboratory fabricated guard prescribed by the dentist. It is made to fit your teeth and jaw, so it is comfortable and it won’t bring about unwanted complications. How do you like your brand new smile? Did you just go through a teeth whitening procedure? How was it for you? The truth is, people go through different experiences when they opt for a teeth whitening procedure but in general, a patient that comes in for a bleaching procedure, will come out with a brighter, whiter and more beautiful smile. It is definitely something to celebrate about and if you want to hold on to hold on to this feeling, you will do all you can to prolong and preserve the results you obtained. So what can you do to help maintain the results from your teeth whitening procedure? 1. Avoid colored food, beverage and other substances. Your teeth can gradually stain and discolor due to the substances that come into contact with it. It may be your food, beverage, medications and so forth. Basically, if you are not mindful about what you take in, and they happen to be highly staining, your teeth while lose its beautiful whiteness. Teeth whitening will resolve that issue, but the same substances that disclored them in the first place can just bring it back to that state, once again. If you really want to prolong your teeth whitening results, therefore, you will have to refrain from taking in these substances. You should avoid food with heavy sauces such as tomato sauce, curry, soy sauce and the like. You should also stay away from coffee, tea, red wine and other colored drinks. If you cannot avoid such substances, completely, make it a habit to flush your mouth with water. 2. Stop smoking. If you are a smoker, it would be best if you stop the habit because not only is smoking bad for you, but nicotine can stain your teeth and render your expensive teeth whitening procedure, no good. If you really cannot stop this bad habit, make sure to gargle with water after finishing a cigarette to somehow flush the nicotine away from the teeth surface. 4. Do whitening touch-ups at home. Another good way to preserve your teeth whitening results will be to carryout small efforts to touch-up the results. There are several take home options from the simple usage of whitening toothpastes and mouthwashes, to actual teeth whitening products such as whitening strips, gels and trays and pens. The practice is when you notice the whiteness fading; you can do a quick touch up to restore your teeth to your desired shade. You can keep doing this, so you do not go back to how it was before the in-office procedure. Bleeding gums may be a lot of things but it is mostly due to gum disease. And believe it or not, it is the biggest reason for tooth loss in most people, so if you want to take it for granted, then you ought to think twice. Gum disease is a serious problem. It is more than just bleeding gums and if you love your smile, you will take it seriously. Plaque is the main culprit in gum disease and it is formed when food (sugars), saliva and bacteria is allowed to combine. Now understand that saliva and bacteria in the mouth is something that you cannot control. Bacteria that causes plaque is part of the normal flora of the mouth and you cannot just get rid of it. What you can control is the food that collects in the mouth. You can make sure to rid the mouth of food particles (sugars) to make sure that plaque does not form and accumulate in the mouth to wreck havoc. Seemingly small-time in nature, many people are quick to dismiss gingivitis. They do not understand that there is so much more to bleeding gums. A person is found to be suffering from gingivitis when the gums are bleeding, purulent, tender, swollen and reddish in color. This condition is completely reversible and is easily resolved by scaling and oral hygiene maintenance. Once the plaque is removed and liberated from the tissues, the gums will revert to health and conditions will become normal. Gingivitis is an awful problem but it is reversible. But what happens when gum disease is left to progress? 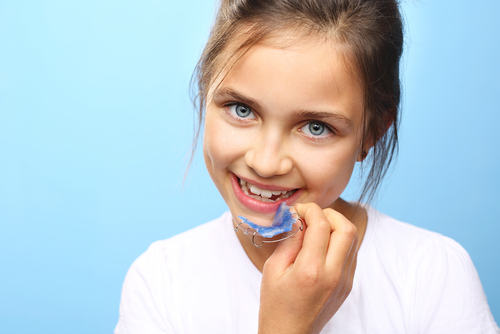 When plaque is left alone to accumulate, it will disrupt the healthy environment of the gums and teeth, causing pockets to develop. These deep pockets collect even more plaque and with further accumulation, the same bacteria that caused the infection on the gums can infect the bones and begin to attack it. Bone infection is a serious problem because it is actually the bone that holds the tooth in place. Bone infection in extreme levels will lead to bone loss, causing the tooth to become loose in the socket. Depending on the degree of loss, there will be observed mobility on the tooth and if it is allowed to progress, the tooth may just be lost. Who would have thought that a simple case of bleeding gums can lead to the loos of a tooth, right? Do you know that you can say goodbye to a completely healthy tooth because of severe gum disease? Yes. Sometimes the tooth will have no problem but because of severe bone loss, you will lose the tooth. Do you really have to wait for this before you take action? Bleeding gums serve as an alarm that ought to remind you of impending doom. The gums bleed because it is suffocated by plaque and it is screaming for you to do something—so by all means, do something to revert the issue, because you have to do something while you still can.